In a large saucepan sauté onions in ghee, add garlic & chilli paste, curry paste, garlic, bay leaves, curry leaves, cinnamon, chilli flakes, chopped chillies, turmeric and grated ginger and cook stirring , until onions are tender. Add meat and brown for 7 minutes. Add chopped tomatoes and tomato paste cook a further 3 minutes. Add chopped carrots and potatoes and on low heat cook for 1 hour until meat and vegetables are tender. 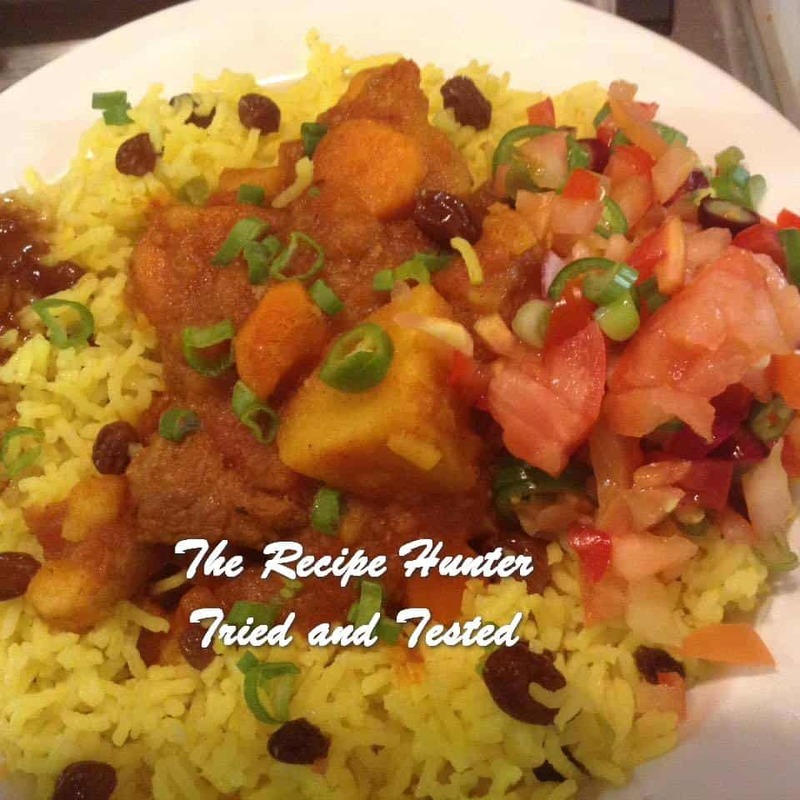 Serve with basmati rice boiled with saffron threads, 1/4 tsp turmeric powder and a handful of raisins.